Do you want your invention on the market without having to run your own business? 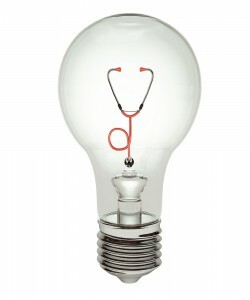 Have you come up with a solution to a problem in healthcare? … but you have neither the time nor the motivation to start and run a company of your own to sell it? Consalus Healthcare Solutions AB markets and sells innovations conceived by healthcare workers, primarily in the fields of healthcare hygiene and patient safety. We work closely with Harry Holms AB, the leading manufacturer of stainless steel medical products in the Nordic region. Harry Holms AB has sold products to Swedish healthcare since the start in 1945, and now exports to some 30 countries. Tell Consalus you are interested by sending an email to info@consalus.se. We will ask you some questions, and once we receive your answers we will take your idea to our Product Gate. It consists of a team of doctors, salespeople and manufacturers who will decide whether to forward the idea to the next phase. Consalus will reply to you within a month. If we go on to the next phase, we will present a contract offering you royalties on every unit we sell. Before you tell us about your innovation/product idea, we can sign a confidentiality agreement upon your request.